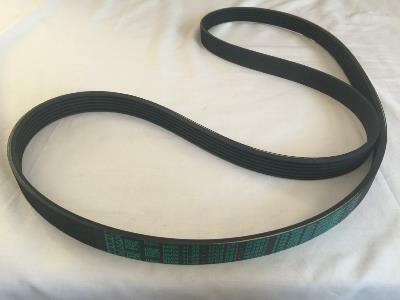 Genuine BMW ribbed V belt 6PK 1555. This belt fits on to the water pump and alternator. The current BMW part number is 11281437929. The part number on the belt is 11281703561 which is an older number Please check this part number against the last 7 digits of your VIN number using the BMW electronic parts catalogue before buying. If you don't know how to do this, send us the last 7 digits of your VIN number and we will do it for you.